One more April Jillibean Soup card to share today. This one is all stamping! 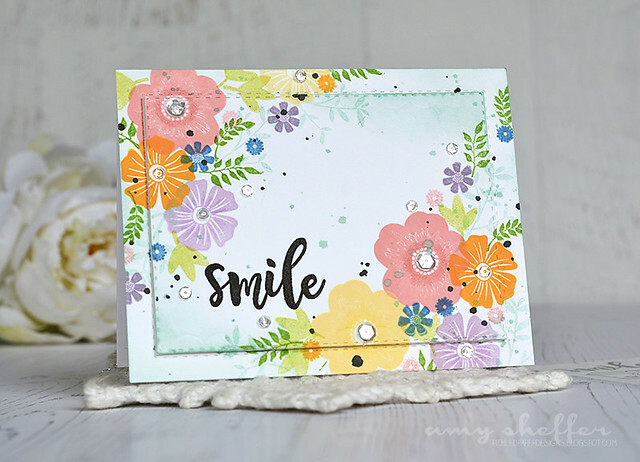 I love how Jillibean Soup and other scrapbook companies are adding stamps to go with their collections, and decided to let these beautiful florals stand on their own today. The majority of my stamping was done using the Bowl of Dreams stamp set. 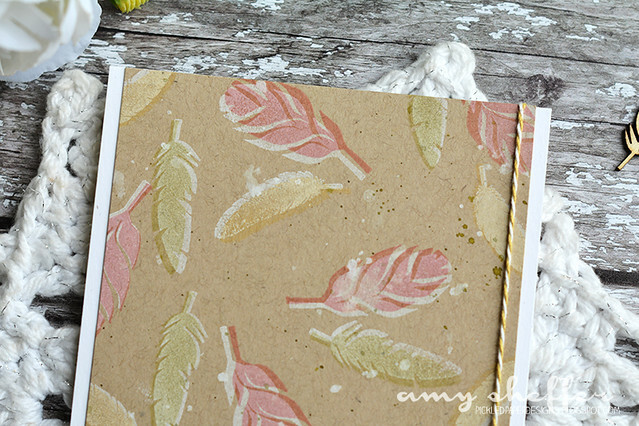 I filled in with smaller flowers/branches/leaves from the Latte Love stamp set (which is a stamp set in the Shaker Shakers line). I popped up the inside piece onto fun foam for some subtle dimension. Last, I splattered some black ink and added some clear sequins. 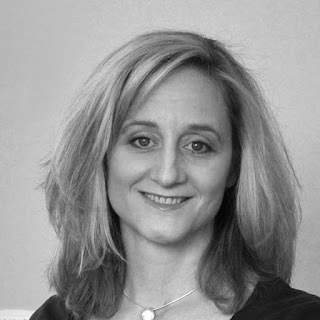 Look for Jillibean Soup products at your favorite retailer or shop in the Jillibean Soup online store. 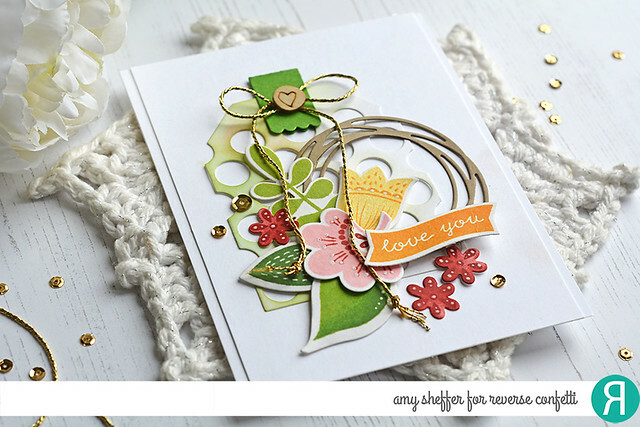 Here's another card I had over on the Jillibean Soup blog earlier this month. More feathers! 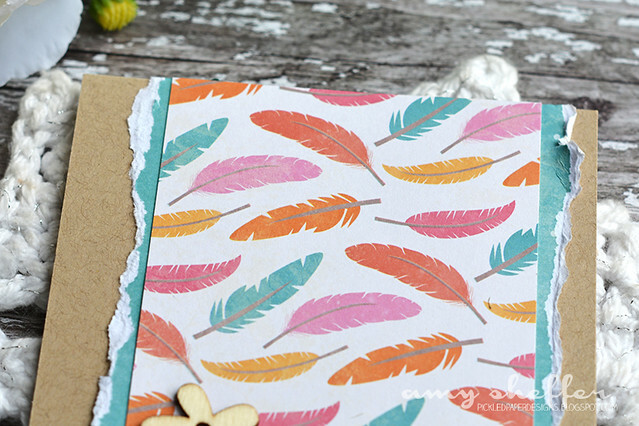 This time, I stamped my own, using the feather images in the Bowl of Dreams stamp set. Very similar layout to yesterday's card as well! I first stamped my pattern in white ink, then went back and stamped a second time in yellow, rose, and green inks, offsetting slightly for the shadow/highlight effect. I also splattered the background with kraft and white ink. 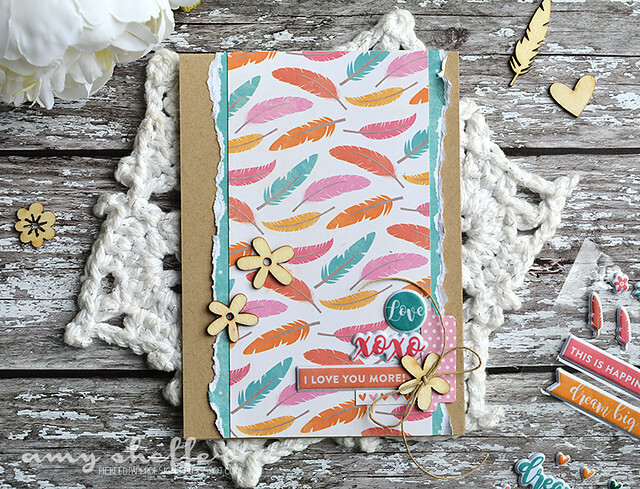 In the bottom right, I added a rose pink card stock flag, a stamped sentiment, puffy sticker, and wood veneer flower (all from the Bowl of Dreams collection). Over the next few days, I'll be sharing a few cards that I had on the Jillibean Soup blog earlier this month. I trimmed down a piece to create a wide center strip, then backed it with a blue print with torn edges. Then for the fun embellishment cluster in the bottom right! I used a mixture of Bowl of Dreams Puffy Stickers and Bowl of Dreams Coordinating Stickers. The wood veneers flowers are also from the Bowl of Dreams collection. I tear vellum often, but haven't done paper in a while! 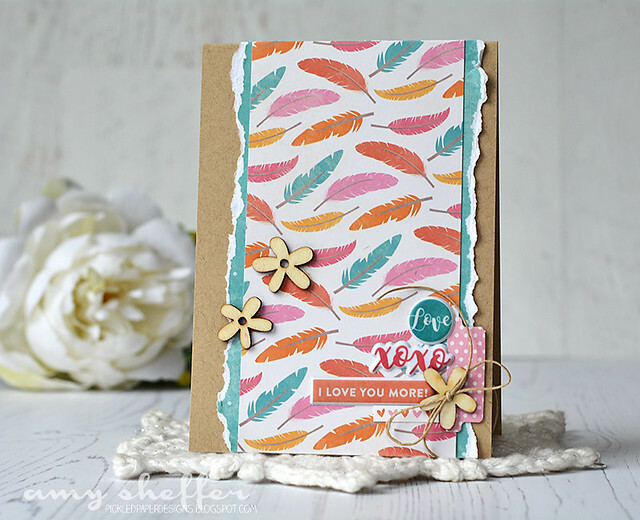 The Kraft card base really shows off those colors, don't you think? Jillibean Soup and Kraft always go hand-in-hand, too -- love that! 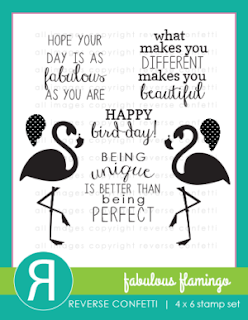 Hello, hello, and happy Wednesday! Reverse Confetti's April SFYTT soon will be wrapping up. To play along, link up your entry HERE by noon on the 29th. 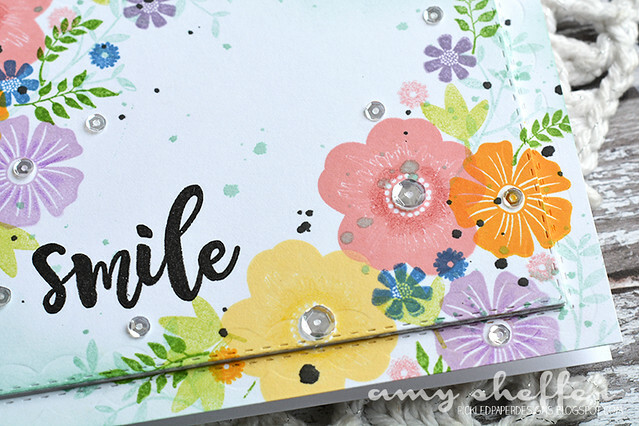 For the vertical rectangle sketch element, I used a Cloud White Dots Tag Layer Confetti Cuts die-cut, and for the circle element, I used a Swirlies Confetti Cuts die-cut in Sand card stock. 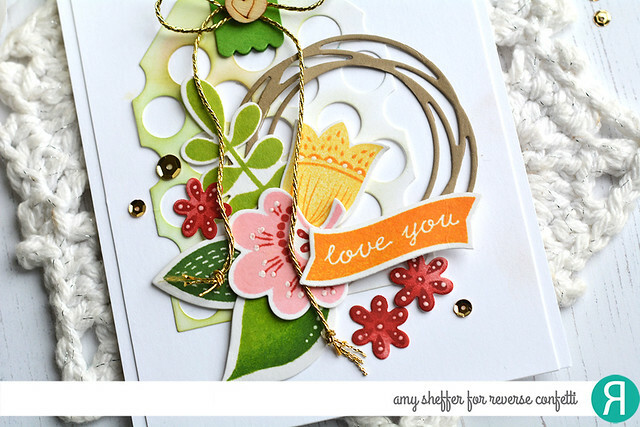 Next, I added a cluster of pretty flowers that I stamped with the Blooms 'N Buds stamp set and die-cut with the corresponding Blooms 'N Buds Confetti Cuts dies. I accented each of the flowers with some white gel pen. Don't you just love the flowers in that set? 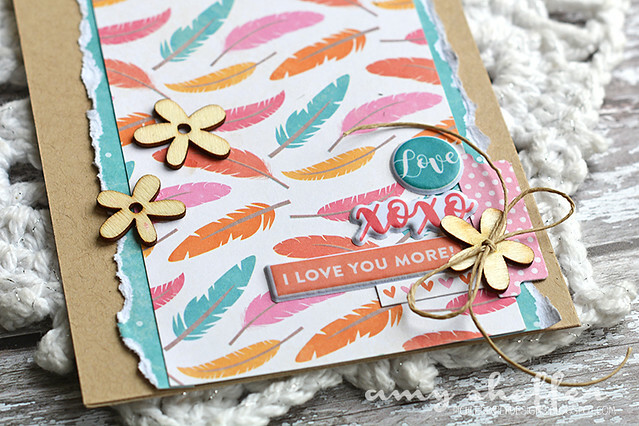 For the horizontal element, I stamped the "love you" Bitty Banners onto a Bitty Banners Confetti Cuts die-cut. 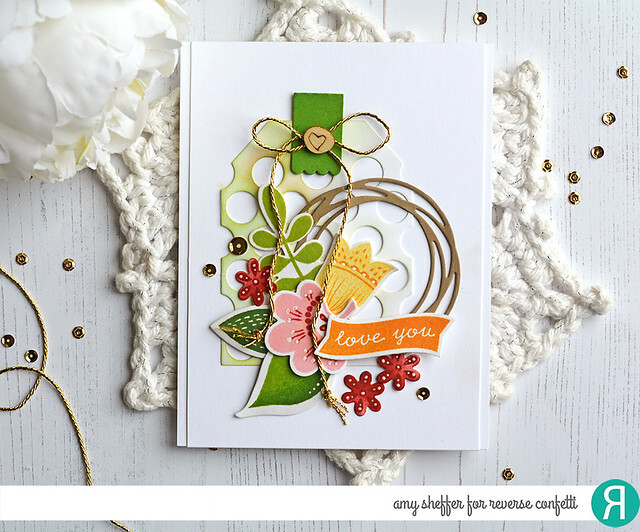 Along the top of the tag, I added a Hang Ups Confetti Cuts die-cut topped with some gold cord and a sweet little wood veneer heart. Reverse Confetti is part of a huge collaborative Spring Fling Blog Hop today. I'm super excited to have the above project posted over on the Reverse Confetti blog as part of the hop. Head on over there to join in the fun! 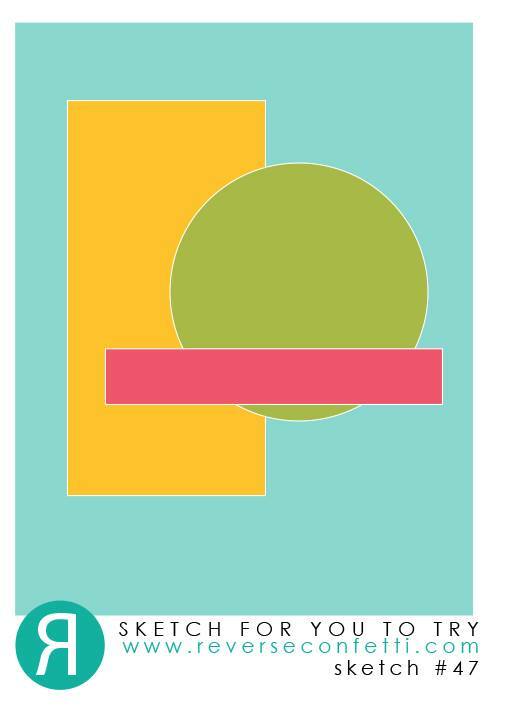 My first card is a graduation congrats card. 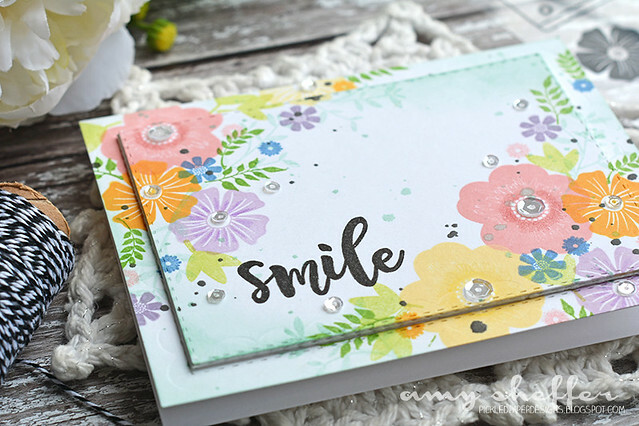 With so many colors to choose from, including silver and yellow/gold, it's pretty easy to customize graduation cards to most school colors. The glitter tape adds a festive note, don't you think? 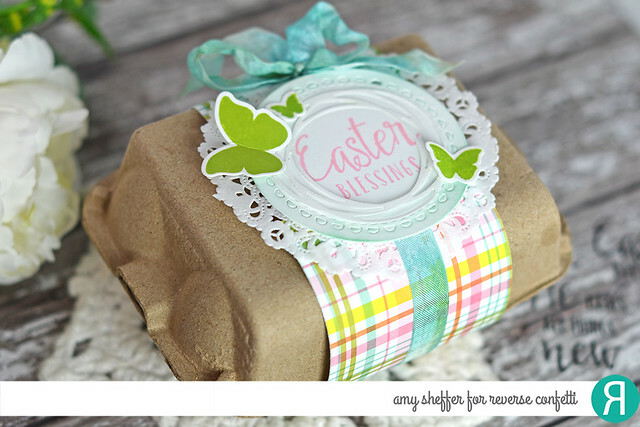 I especially like the wide Blue Lines Tape, which has a unique texture that reminds me of crepe paper! 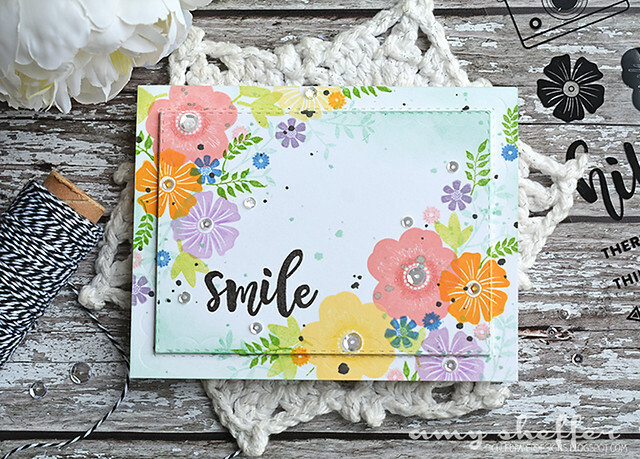 For my next card, I created a simple thank-you card that incorporates some fun positive-negative design elements. 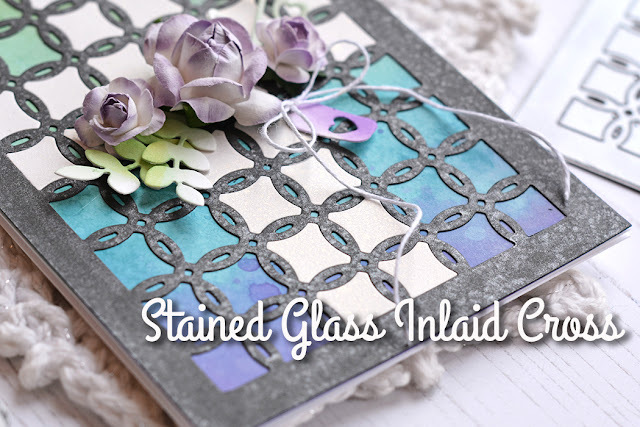 Stop by the Queen & Company blog for more photos and how-to! Have a great weekend, my friends! I'm off to my daughter's first horse show of the season, and it looks like it's going to be a rainy one. 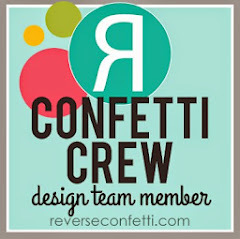 Hi there, I'm over on the Reverse Confetti blog today with a new WEDNESDAY IN THE WORKS project and video. Hope you'll visit with me over there! 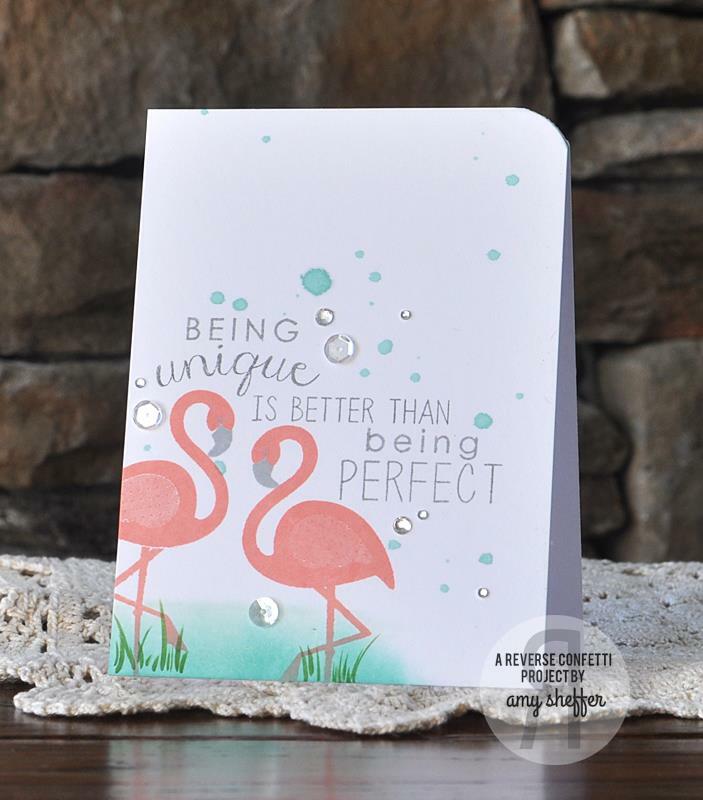 I got to play with my new Distress Oxide inks for the background, too, and well ... I love them! 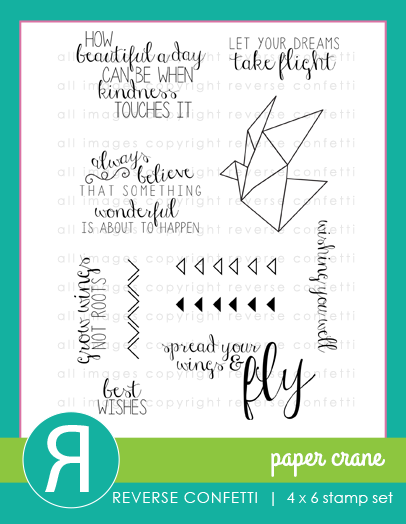 Hey there, so excited to be back with a Papertrey Ink post! It's been a while. 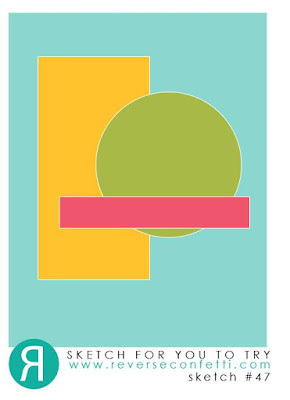 In case you haven't seen, I changed roles at Papertrey Ink, and this upcoming year I'll be a team contributor for Heather Nichols's Traveler's Journal product line. It's a smaller role, which I really needed, and I'm so thankful to both Nichole and Heather for making room for me here. It's also a more specialized role, which I'm super excited about, as I fell in love with these notebooks back in the fall when the product line first debuted. So, let's jump right in. 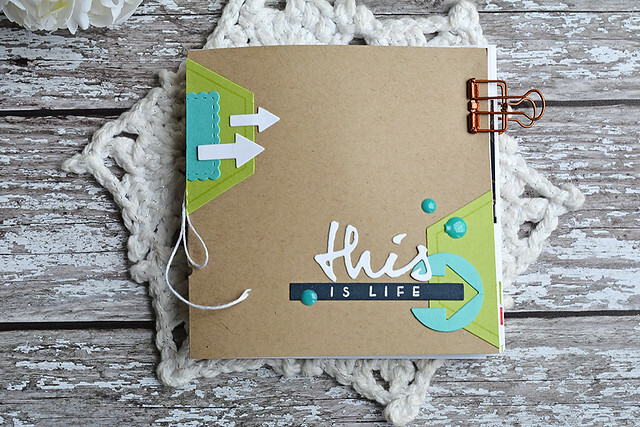 Today's focus is all about the Traveler's Journal Page Blanks. 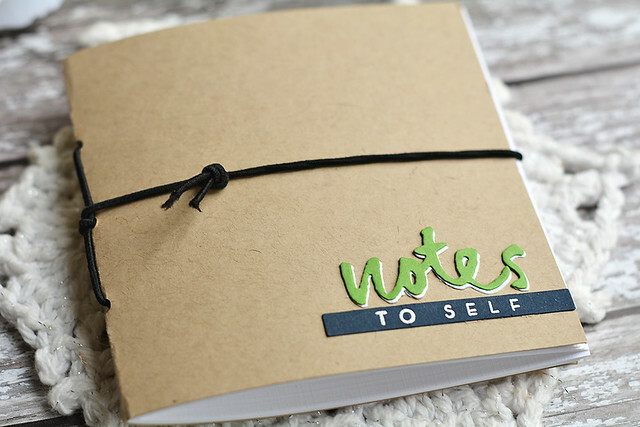 These come with enough supplies (white linen pages and kraft covers) to make three individual notebooks. I think what I love most about these is how adaptable they are. The journals I'm sharing today include a simple jot-em-down book, an everyday memory keeping journal, and a fitness journal. My favorite use, by far, is memory keeping. 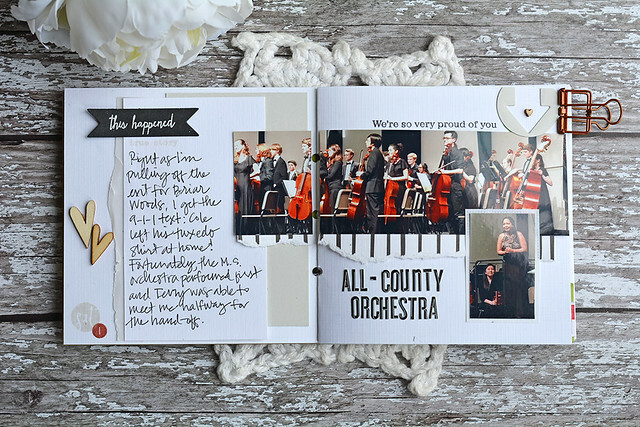 I haven't "scrapbooked" in several years, and even then, it was spotty at best. This small format has been just the spark I needed to start recording some of those everyday life moments. I started by decorating the cover. 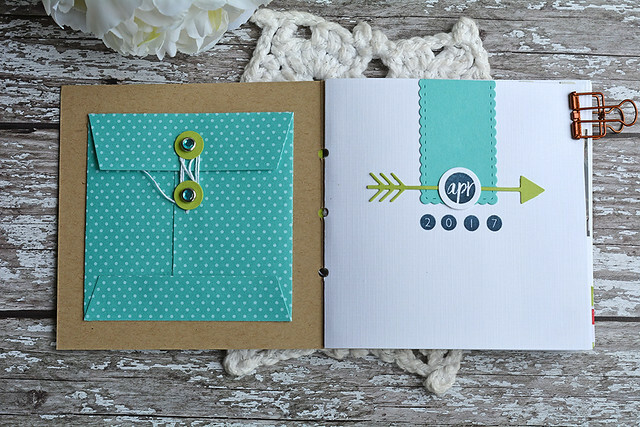 The sentiment is from Wet Paint II and the accents are mostly from Two Toned (stamps and dies) and the Traveler's Journal: Outer Cover dies. On the inside cover, I included a Traveler's Journal: Envelope for collecting any small memorabilia. For me, the booklets are just about the right size for a month, so I went ahead and customized this one for April using the Traveler's Journal: Dates stamps from last month's release. I've done a few pages so far. On each page, I'm showing the date using the Traveler's Journal: Dates set. 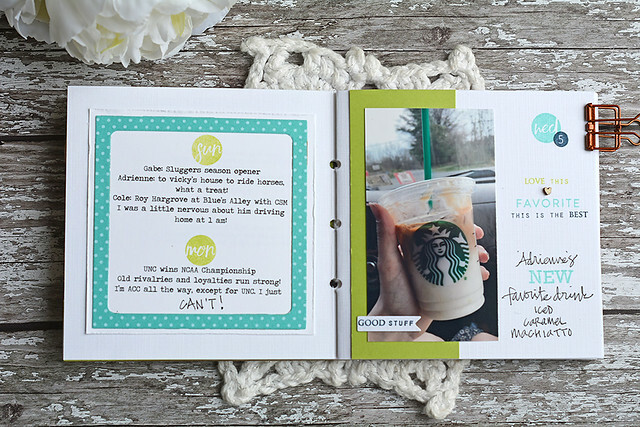 I added my photos, journaling, and title sticker, as well as a little more stamping. 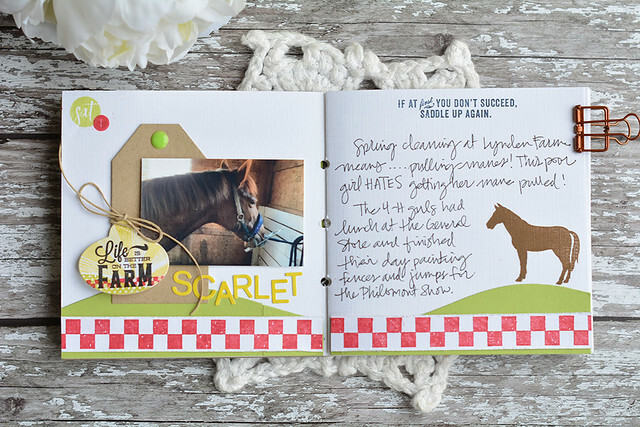 This farm-theme spread documents my daughter's day doing spring cleaning at her barn. And this spread combines a few days' worth of highlights. 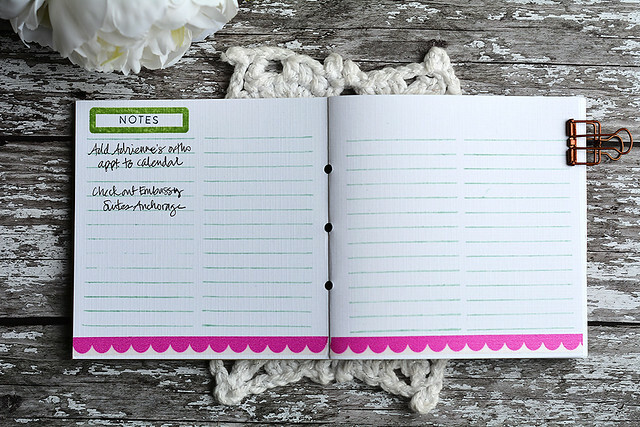 I love the trim size of the individual notebooks, and have found them perfect to tuck into a purse, car console, bedside table -- wherever your ideas may come where you need to jot down some quick notes. Everything in these pretty much gets moved to another place, so they're more just temporary holding tanks. For example, my phone ran out of battery at the orthodontist's office the other day, so when it came time to schedule the next appointment, I just needed a paper reminder to add the appointment to my calendar. I also recommend stitching them up with some kind of elastic cord, otherwise, the books won't stay closed. I used the black elastic cord from the Papertrey store. 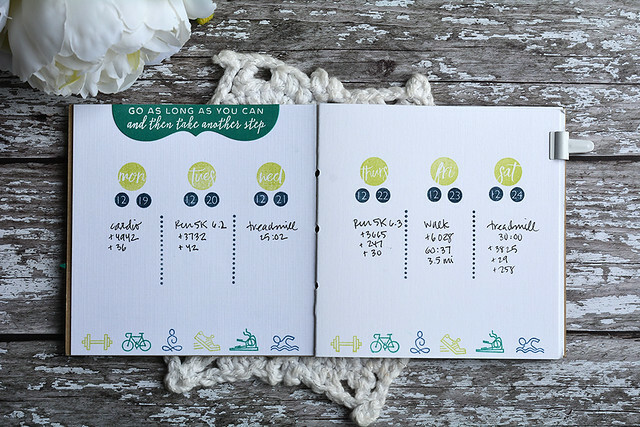 Last, I shared the beginnings of a fitness journal back in December for the December Release in Review post, and wanted to share a idea for tracking activity. Those dates in the Traveler's Journal: Dates set are handy! It's a fair amount of stamping, but if you do your pages all ahead of time, you can easily set up weeks, even months, in advance. Thanks so much for joining me today! 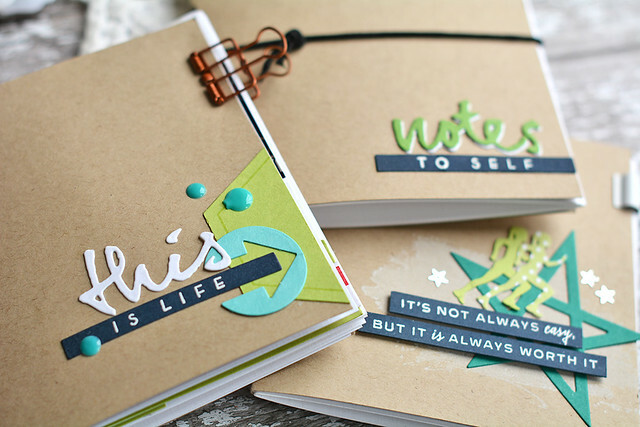 Be sure to visit Nichole's blog today for lots more Traveler's Journal inspiration! It's the 8th of the month and time for Reverse Confetti's monthly blog hop. As RC approaches it's 4th birthday next month, it's also time to clear out some old inventory to make way for the new. Be sure to visit Jen on the Reverse Confetti blog for a list of stamps and dies that have or will be retiring once currently inventory is gone. If something on the retirement list is also on your wish list, now might be a good time to pick that up! 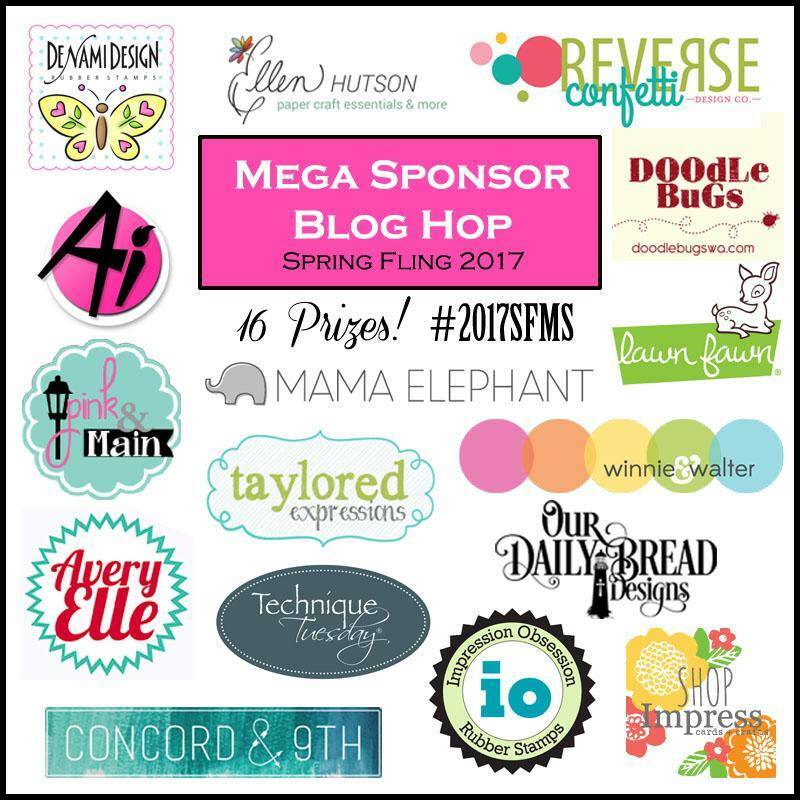 I've chosen a couple favorites from the retirement list and will highlight them later on in this post. But first, today's project! I saw Rebecca Luminarias's gorgeous egg carton projects a couple of days ago, and once I read that she found the egg cartons at the Target dollar spot, it wasn't more than half a second before I hit the road to snag up some before they disappear! Go get these if you're anywhere near a Target! 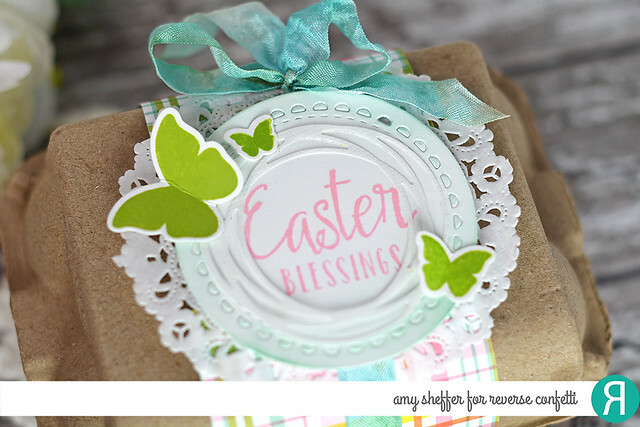 I started by wrapping a band of spring plaid paper and some turquoise seam binding around the carton, then added some layered circle elements, an Easter sentiment and some butterfly accents. Super quick and easy to put these together! In the far back is a paper doily. 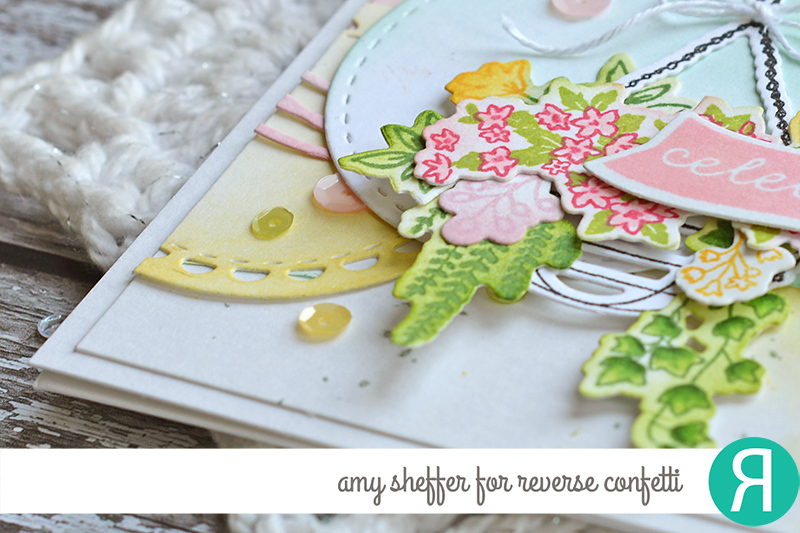 Next is a lightly sponged Lacy Scallop Circle Confetti Cuts die-cut. 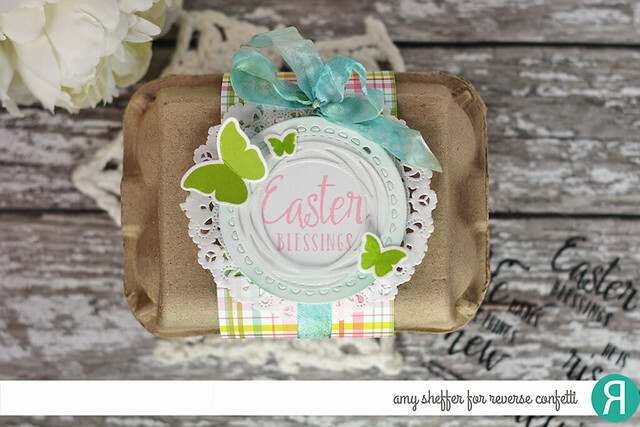 The sentiment, from Easter Blessings, has been stamped in Piggy Bank ink. 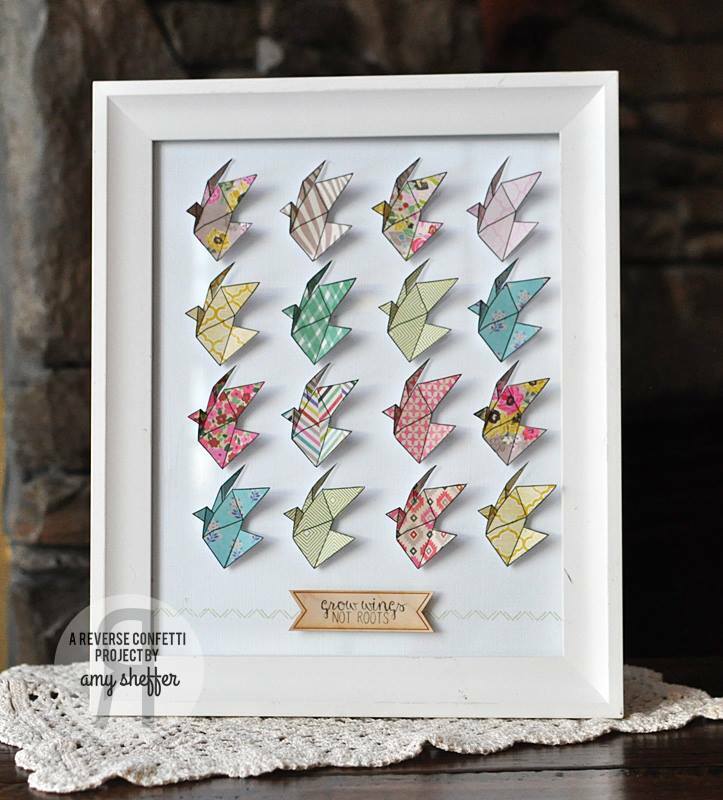 Next is a Swirlies Confetti Cuts die-cut in vellum. 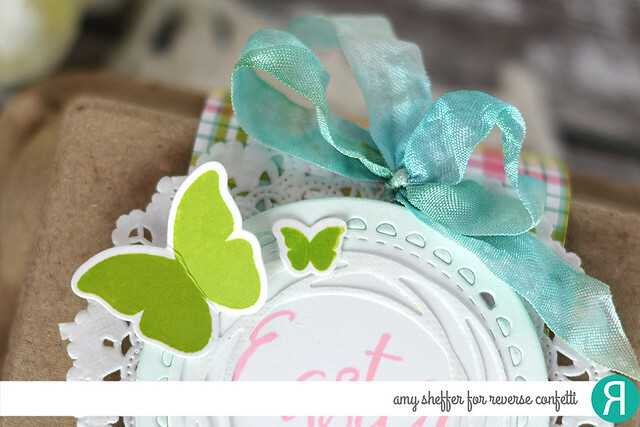 And last are three stamped butterflies. I think I'm going to need more of these cartons! They're just too cute! Back to that retired list ... some goodbyes are harder than others. 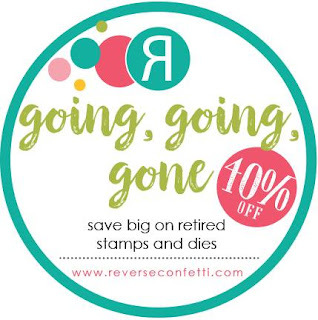 But we're also making room for goodies to come, and retirement list items are discounted by 40%! Have a great weekend, friends! Enjoy the hop!